PRODUCT: #2/12 Sand (Vehicular Deck Coat Grade). Lapis Lustre from Monterey beaches. Graded to #2/12 size, cleaned, kiln dried, rounded crystal-silica Monterey sand. Sold by the pound for small jobs. 100 LB. Bag. Price/Bag. 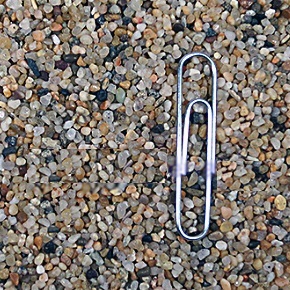 APPLICATIONS: Specially cleaned and graded Monterey California sand. For use with polyurethane vehicular decking systems. Can also be used as an abbrasive for sanblasting, as an aggregate in cement mixes, succo manufacturing, roof tile manufacturing, filter element, packaged concrete and mortars, high strength grouts and mortars. COVERAGE: Applies at about 55 to 75 lbs per 100 square feet. SPECIFICATIONS: Graded to #2-/12 size, cleaned, & kiln dried, rounded crystal silica Monterey sand. Also known as Lapis Lustre brand. OPTIONS: Also available in 50# sacks, bulk containers, and graded to #2-/16 size.